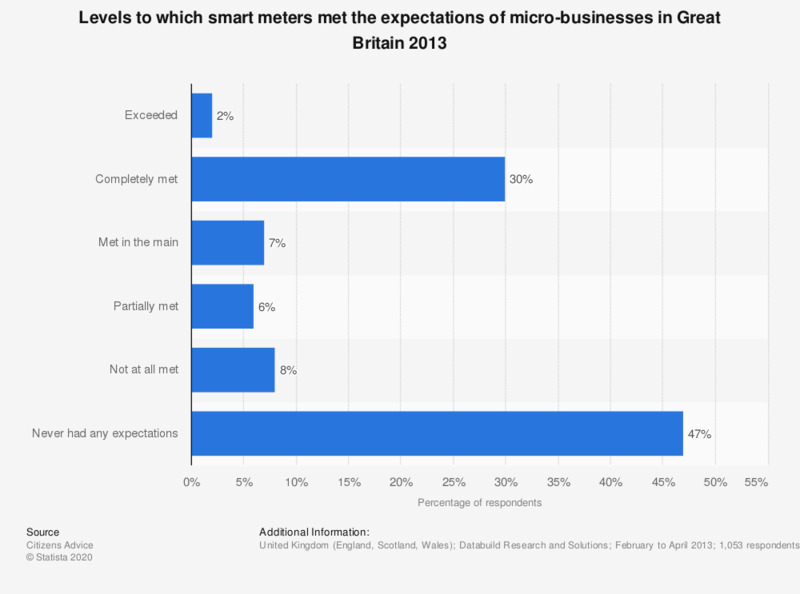 This statistic shows extents to which micro-business in Great Britain were satisfied with their smart meters in 2013. 30 percent of respondents had their expectations met completely, while 47 percent never had any expectations. - an annual consumption of gas of not more than 200,000 kWh.